Are you looking for a Logbook Loan in Hull? If you are looking for a Logbook Loan, then look no further. Car Cash Point will never be beaten on price, quality or service by any Hull Logbook Loan Lender. With our 'Best Rate Guarantee', if you find a lower price from any other Hull based lender, we will beat it by 10%. 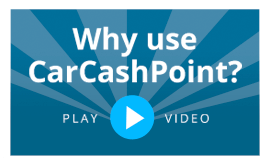 To apply for a loan from Car Cash Point Logbook Loans, Hull, simply complete the on-line application form above for an instant, no obligation, quotation or if you prefer, call Freephone 0333 220 4419 to speak to an experienced member of our sales team. We're happy to help and we can complete and transfer funds for your Logbook Book Loan the same day! Unlike our competitors, Car Cash Point Logbook Loans Hull does not advertise false or misleading APR's, which often bear no reality to the overall cost of the loan. If you have obtained a cheaper written quote from another Logbook Loan Lender in Hull, Car Cash Point guarantees to beat the price by 10% and still complete the same day. Plus, don't be seduced by other Logbook Lenders in Hull who make false, misleading and often confusing claims regarding early settlement charges, as the other Logbook Loan lenders based in Hull will give you a 'discount on the outstanding interest' for settling early which equates to a settlement penalty. We appreciate you want the flexibility to make additional capital payments when you can afford it, to reduce your loan and your payments so you pay less interest. This is why Car Cash Point are the only Hull based Logbook Loan lender to allow our customers to make capital overpayment of £100, or more, at any time during the loan term and as many times as required. It is worth noting the all other Hull based Logbook Loan lenders will accept overpayments but never reduced the loan amount or re-calculate the loan interest. As a port city, Hull made its name and sealed its reputation as goods flowed in and out of the River Hull, through the Humber estuary, and on to many northern European countries. Though the docks still remain busy, its imports and exports have declined, but Hull has diversified. First by introducing successful ferry services to the continent, and also being home to some of the biggest names in the global chemical and health sectors. Outside of its business success, Hull is also rich in arts, heritage, and culture, providing a booming economy for its 260,000 strong population. And, taking advantage of the City's regeneration and investment--and building on the success of Liverpool's year of European Capital of Culture-- Hull were awarded UK City of Culture for 2017. Hull is also famous for being a great seat of education. As England's 14th-oldest university, the University of Hull is home to some 16,000 students from around the world. Alongside its growing campus, Hull's acclaimed museums, theatres, and Grade II listed sites of East Park and Pearson park, show why this city holds such national importance. But beyond being a cultural powerhouse, Hull is one of the hottest North West locations for logbook loans. With the lowest logbook loan prices in Hull, Car Cash Point offer a 'Best Rate Promise' that means if you find another logbook loan lender in Hull with lower rates, we'll beat it by 10%. For logbook loan price and service in Hull, Car Cash Point are hard to beat.